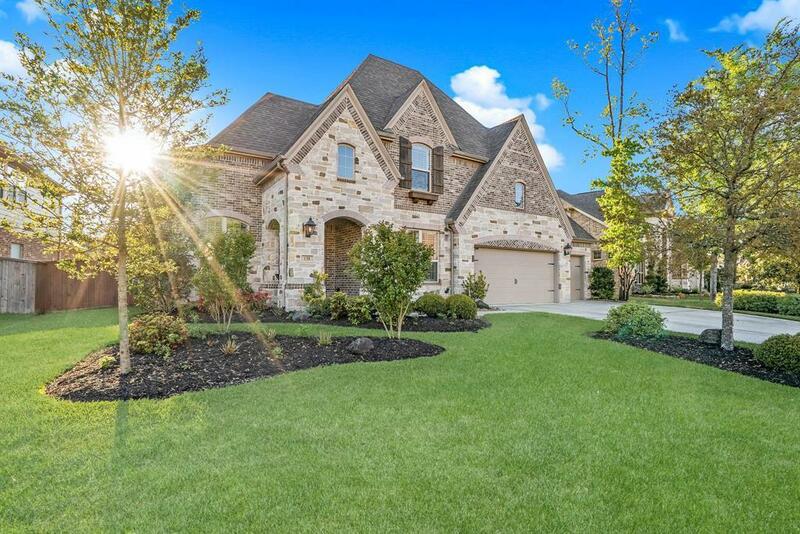 Immaculate Highlands Home with excellent curb appeal on a cul-de-sac street in Woodforest's master planned community. 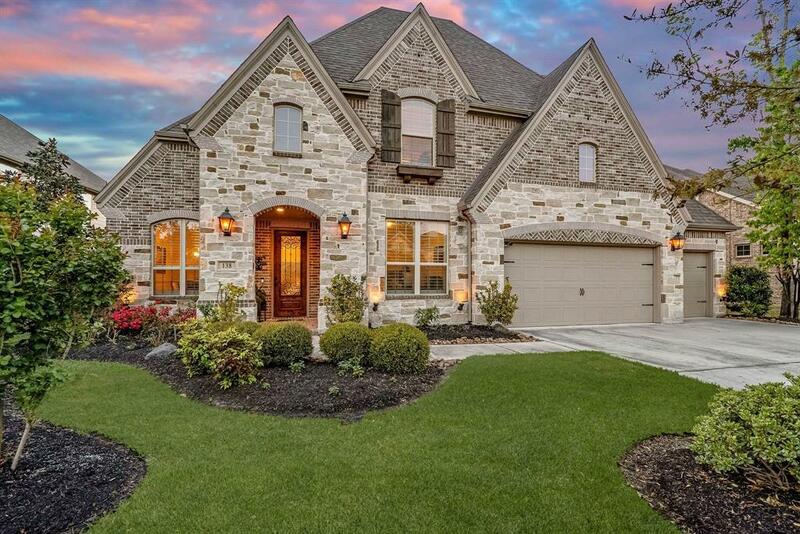 Upon entering the home you're greeted by soaring ceilings, stunning hardwood floors, stone fireplace, & a bright open floor plan. 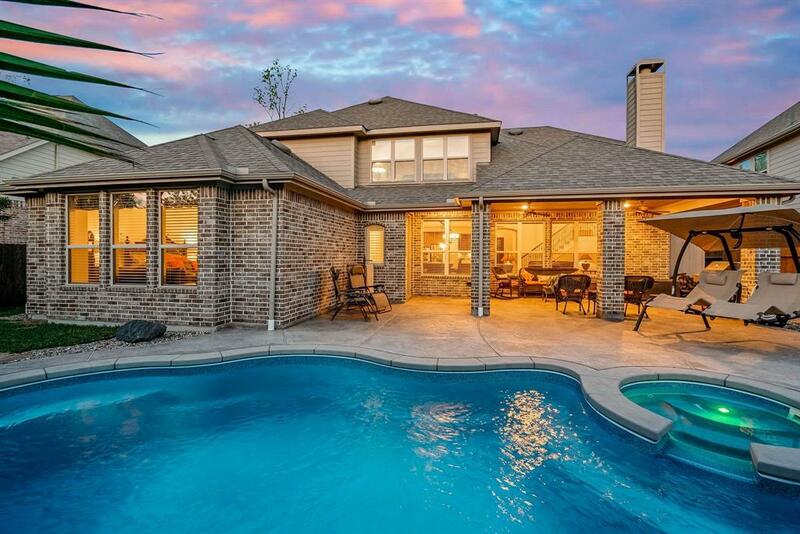 This home is perfect for entertaining or family gatherings with a spacious kitchen that overlooks the family room, breakfast room & outdoor oasis. The large master suite is over-sized with a sitting area & a wall of windows. The spa-like master bath boasts double sinks, deep garden tub, separate shower, & expansive walk-in closet. Additional features on the 1st floor include a study, formal dining, & guest suite with bed & full bath. The second floor offers a second living/game room with dry bar, media room, & 3 bedrooms & 2 full baths. 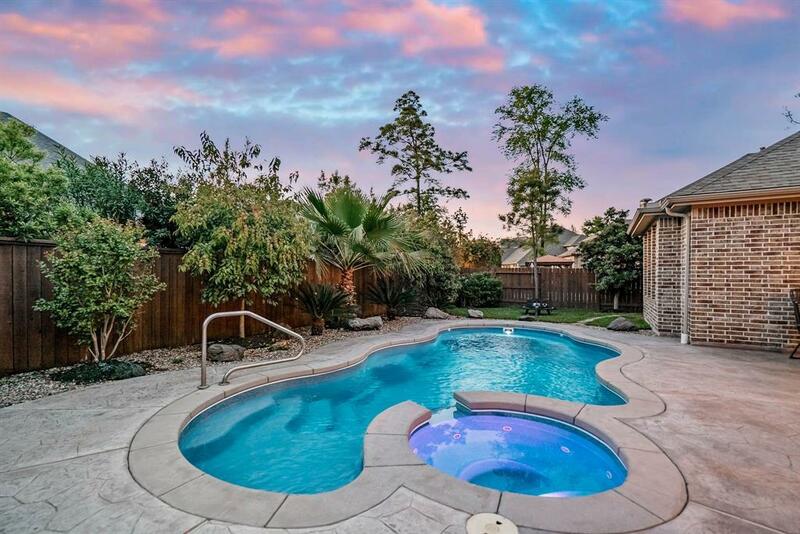 Outback you will step into your own personal paradise with an extended spacious covered patio with gorgeous upgraded stamped concrete that looks out to the sparkling pool & spa with stunning landscaping.